Sunday, April 7th and the rides are free. All rides will have a ride captain (guides Cameron, Sam, Max and Isabel will be there) so we can show you the best of the region. Both the 100km and 80km include 2 well groomed dirt sections and our usual optional extra challenges…. But most importantly please come and join us for a fantastic post ride get together at our home on Woodhill. Join us for $35pp to share an amazing paella (see below) with salads, soft drinks and water. Feel free to bring beers or wine. If you wish, drop any drinks at the Berry Mountain Cycles shop and we can pick them up for you in the day so you can ride straight in and be ready to go! We will also be announcing our new Odyssey for 2021 and the food and wine on the day will set the scene for this epic journey. Our address is 356 Woodhill Mountain Road, Broughton Vale. You’ll climb past it on the first hill of the day which will warn you that the very last challenge of the day is our driveway!Lunch will be going from 1pm-4pm. See you there! Remember this is a casual club ride. No pressure, no paperwork – just fun and we have 3 options to keep the toughest riders and the more relaxed cruisers happy! To view the rides in detail and access the GPS files please click here. 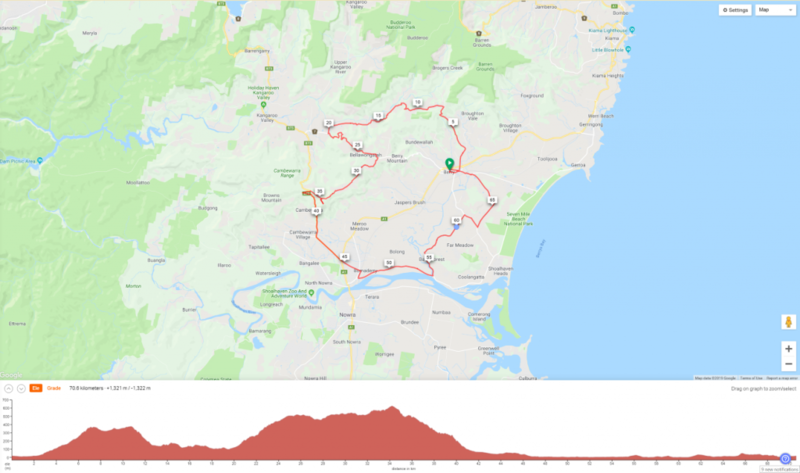 To view the rides in detail including all the climbs and their exact elevations please click here to go to the Ride with GPS site. Once on the site scroll over the elevation profile below each of the maps and you will get the details on the climbing involved. The Berry area is known for its hills. 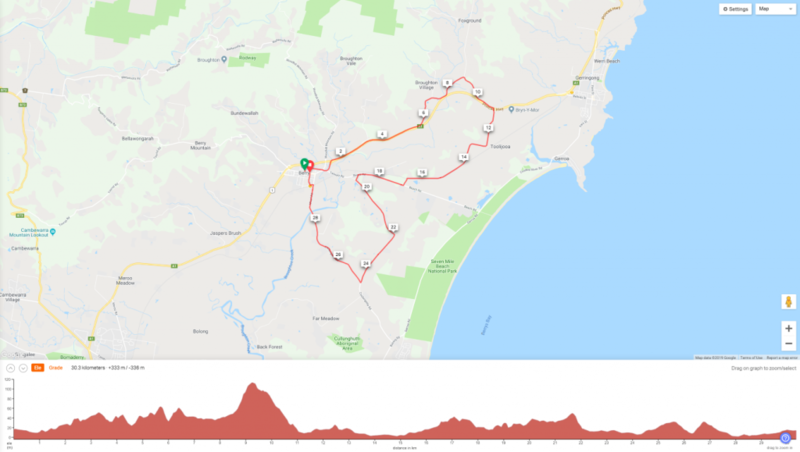 The Berry 100 has 3 major hills, Woodhill Mountain which is 4.3km long averaging 7% with a maximum gradient briefly of 15% near the top. Berry Mountain is 5.2km averaging 8% with a maximum gradient of 13% midway…(this climb is bypassed by the sensible Berry 80!) and Bugong Road which is 1.7km long with an average of 10% with a maximum briefly of 17% – this is also high quality compacted dirt! They are all challenging but worth the effort. What would one of our rides be without a few extra optional climbs?? These are all optional out and back climbs and none need to be ridden to complete the ride. They will be marked by a wolfs head at the bottom and the distance and gradient. Look out for these on your way around the course… This year there are 4 optional extras building up all the way! Total addition 10km (up and down) and around 600m elevation! Our notes – Please read! This is an unsupported ride. We are organising the lunch which we would love you to come to (see above) and we would love to ride any of these courses with you so bring snacks and water for the ride(we will have some additions for you too) and be prepared for the ride you are taking on. There are sections of dirt on all of the rides. On the 30 we briefly ride on the highway but there is an excellent shoulder and it is just to get us to more remote riding. 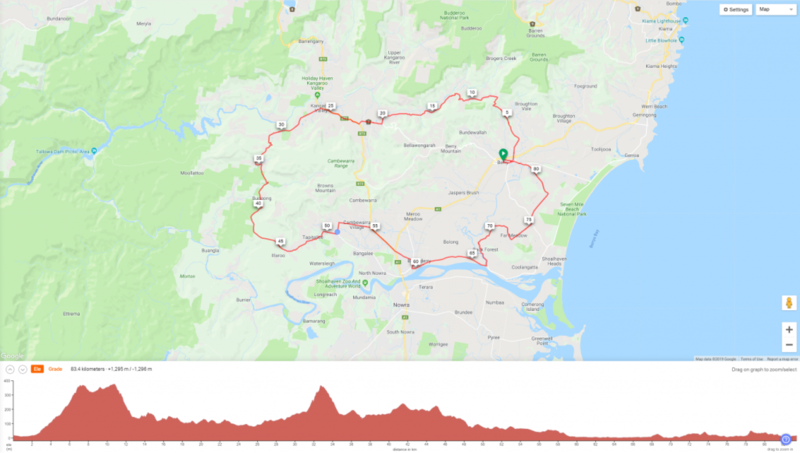 The 100 and 80 will have optional coffee stop in Kangaroo Valley (we recommend The General Cafe – excellent scones and coffee) and you can grab a drink at the store in Cambewarra too. The 80 and 100 rides are setup so different abilities can enjoy the ride together. I.e. 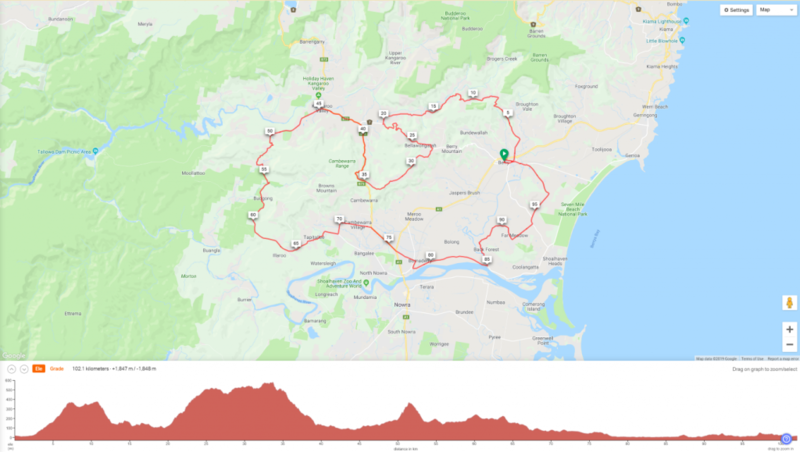 Riders depart together and ride Wattamolla, then the sensible ride on to KV for coffee and scones while the 100 riders climb to Cambewarra lookout. When riding please keep an eye on each and take care of the traffic. Most of the roads around Berry are excellent but special care needs to be taken on 2 sections regarding traffic. Firstly Moss Vale road into KV can be a little busy but it is generally very good (and you are slightly down hill so move well). Secondly Bolong road out of Bomaderry can be busy but it is flat and Back Forest road which we turn onto is excellent. Any questions please ask Sam – sam@bikeodyssey.cc or call us on the day or otherwise on 0412 540 984 or 0450 688598. Looking forward to seeing you on the road!